This semester’s curriculum takes place in the “expanded field” of the city of Braunschweig and its surrounding regions. Students will work individually or form small groups (no more than 3) and complete semester-long research and collaboration with one of a few communities. The projects will be organized through different “models” or “diagrams” of artistic collaboration. The projects will be selected, and groups formed by April 22nd. Your former “cubic metre of Busch” websites will host your work and progress. The final material will be presented in the IAK Final Exhibition in July, 2016. – Keep your online page, but change it to fit your new project, or make a new page. The group will pick one interesting “site” or “context” in or near Braunschweig. This site should be a place where the environment has become a “matter of concern”. In other words, a place where people, landscape, creatures and technologies have all become implicated in a problem or issue (ecology, psychology, politics, social, etc). The group will tell the story of this site and its diverse participants through interviews, photographs, recordings and demonstrations. At the end of the semester, this material will be presented in a way that tells the best story of the site and the encounters there. The group will produce a manual for experiencing and sensing the Busch around IAK. They will make detailed scientific drawings of different species like trees, animals and insects, map their ecologies, take many notes from observations, and generally try to understand the Busch as an evolving landscape with interwoven human and creaturely agencies. At the end of the semester, this group will present a “Field Guide to the Busch” in a hard-copy book form, and it will be passed down to future generations of IAK students when they arrive at IAK as heritage. The group will collaborate with the Braunschweig climatology department to use different instruments to sense the weather and environment of the Busch. In addition to borrowing physical sensors from Climatology, and using them to take data readings during some classes, this group will develop a series of research questions (aided by Jannik Heusinger and Sasha, Jol). These insights will inform a prototype for a “Busch Kit 1.0” – a kit that has all the most important instruments and instructions for sensing the Busch. This might also include educational materials like games, questionnaires or experiments. The prototype for the Busch Kit 1.0 will be exhibited in the IAK Final Exhibition and will be kept in IAK for use by future IAK students. The individual or group will work directly with Freifunk in Braunschweig to further their project of distributing non-proprietary Internet coverage. Students will identify key areas where they can help the Freifunk team – which might include graphic design of posters to communicate Freifunk’s ethos and message, helping to install software or hardware, setting up the IAK network. The group will also be encouraged to produce one “fake” or “mock” advertisement for a major Internet corporation (like Google or Facebook, etc.) in the style of the activist group Brandalism. 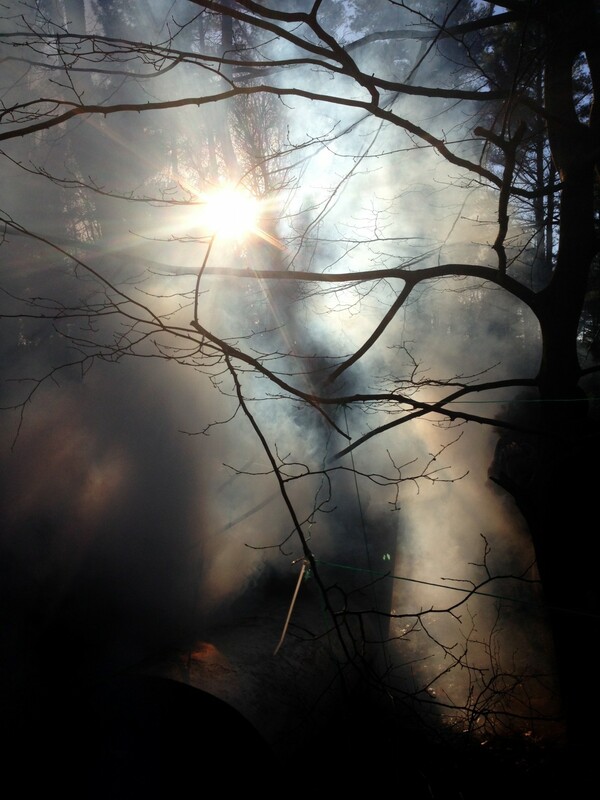 The collaborative project will be exhibited through the IAK Busch Network on the occasion of the final exhibition at IAK at the end of the semester. The individual or group will choose their own project, to be approved by Sasha and Jol. The project must be inherently collaborative (i.e. collaboration with another department, a non-human animal, a landscape, an activist group…), and it must be a long-term project that can be completed in the space and time of the summer semester. 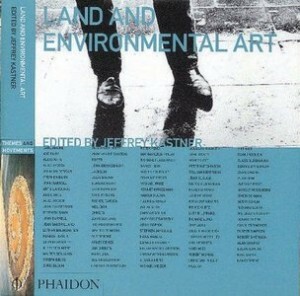 Land and Environmental Art, Phaidon: 1998. Apr 8th:  Welcome Back, Review of the Exhibition in February, Discussing the next semester and your artworks. Apr 15th: What is the Technosphere? Introduction to research practices through my own work. Hausaufgaben: Prepare your new research proposal presentation for next class. This might include a slide presentation, a text or handout to the class, drawings or videos etc. Apr. 22 :  Technosphere Presentations and your research proposal presentations. A Guest from the Technosphere Campus will join us! Apr. 29: Presentations from Henri Greil 'Animal Estate' and Kerstin Wolf w Prof. Burkhardt. May 15th : 5 dimensional sound presentation with Alan's group. I will not be there but you will attend the guest sound baths and join with Weather Theory. May 22nd : Excursion Week! May 29th : Sasha and I report about our Becoming Pilot excursion to Cappadoccia, Turkey. Preparations for exhibition, Development of your work, research and ideas about how to present this work. This seminar should be a work of art itself. and generous. We hear and see and feel and dance.